The M12 has been the stand out product for circular connectors, and has long been known as an interface for data and signals. In order to provide a familiar and compact interface for energy-intensive applications in the future, a K-coding version of the M12 is now also available, standardised in accordance with IEC 61076-2-111. With four power contacts and one PE, it can safely transmit 7 kW at 630 V and 16 A. A lot of power in a really compact interface. The development of the K coding was necessary because the continual miniaturisation of entire devices has not only influenced the data and network technology, but also increasingly the necessary drive technology. The same trend applies here as for data transmission. 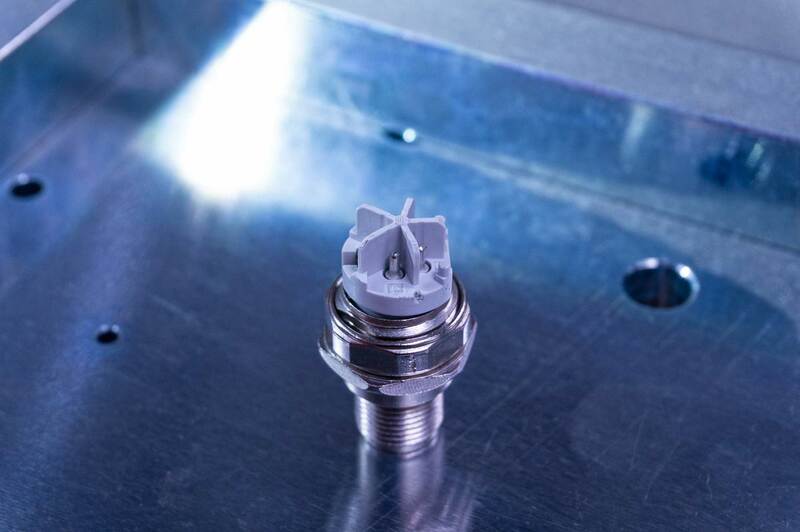 Components should become smaller, lighter and at the same time more efficient. 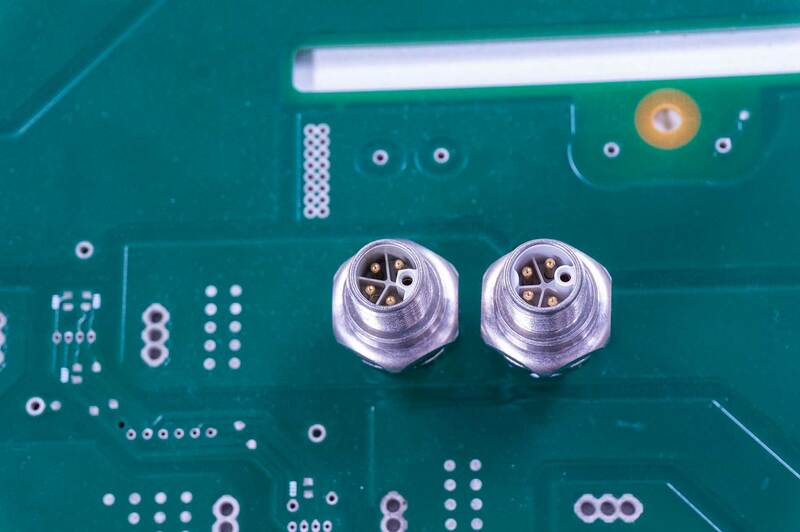 Circular connectors are used widely around the world. The M12 A-coded power supplies that they have been using have quickly reached their performance limits. The 7/8" solution was the previous standard for electric drives with high power consumption. With the K-coded M12, the gap between L coding in the low voltage range and the large 7/8" interface has now been covered. By transmitting 7 kW, K coding is slowly reaching the limits of what is technically feasible. In the PNO range, the L-coded M12 is available for low-voltage power supplies. With voltages of 63 V at 16 A, the L-coded M12 is the standardised solution for I/O boxes in Profinet environments. These are prefered for use in the automobile manufacturing sector. However, if drives with higher power consumption need to be supplied power through a space-saving interface, the L-coding specifications are not sufficient; these are then extended by the K coding. From a technical planning perspective, the K coding effectively fills in the last blank spot on the map of M12 power supplies. With 630 V at 16 A AC, approximately 7 kW – more than enough power – is available. In order to pack such high power specifications in a compact M12 housing, special attention had to be paid to clearance and creepage distances, as well as sufficient user protection. This is accomplished using a PE contact attached directly to the housing. It is designed as a leading contact in the mating face so that it can dissipate any voltages and even prevent a flashover onto the housing or between contacts. The K-coded PCB socket has an insulator star which is used to maintain the clearance and creepage distances. Due to its high power specifications, the PCB socket had to be protected against voltage flashovers on the contact side. All soldering posts are separated from each other by an insulator star; this must be considered when designing the PCB. The K coding will only be available in a crimp version on the cable side. As a locking mechanism, the familiar M12-typical screw connection is available, as well as the new PushPull interlock, which features a quick lock with acoustic feedback.